The West Country’s much-loved Scrumpy n’ Western purveyors The Wurzels head to Chepstow Castle for Monmouthshire’s first ever Sausage and Cider Festival! This is your chance to eat and drink some of the county’s best sausages and cider whilst listening to one of the best traditional party bands the UK has ever produced – all in the majestic surrounds of the beautiful Chepstow Castle. With chart-toppers including ‘Drink Up Thy Cider’ and ‘Combine Harvester’, among many others, The Wurzels have been signed to label heavyweights such as Columbia and EMI, and still continue to play over 100 sell-out shows annually in every corner of the UK. This bunch of haystack-headed, no-quite-so-young lads have long paved the way for Scrumpy n’ Western – a genre packed full of double entendre, mainstream parody and a comical folk style. 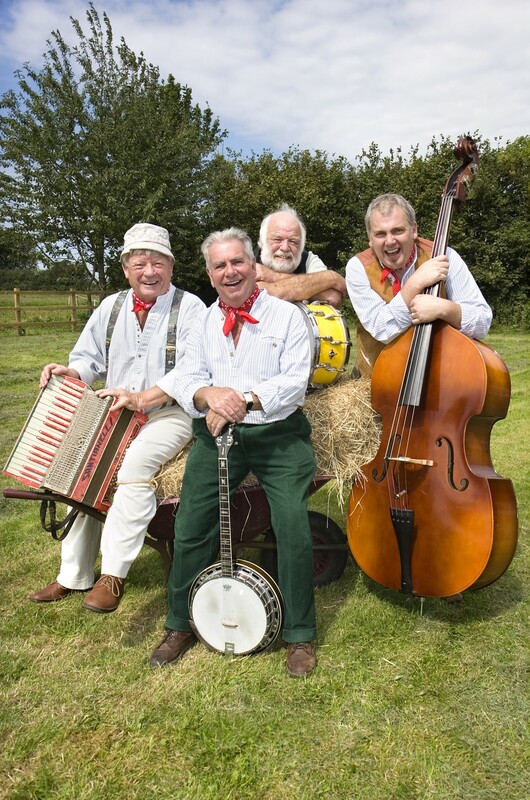 The Wurzels’ shows are the ultimate in showmanship, upbeat rhythms, and, of course, a whole lot of good old fashioned fun – all of which make the perfect accompaniment to drinking plenty of cider and munching plenty of sausages!! Tickets are selling quickly – don’t miss your opportunity to grab one!